It feels absolutely freezing this morning and we had our first frost on the car windscreen today, so it seems like a good idea to look back over photos taken during the amazingly warm Summer we were lucky enough to enjoy this year. We definitely made the most of it, once we returned from our holiday. We went for a day trip out, just me and my girls, to a local farm to do some fruit picking. The strawberries were the best I have seen them and we go to this particular farm for fruit picking almost every year. 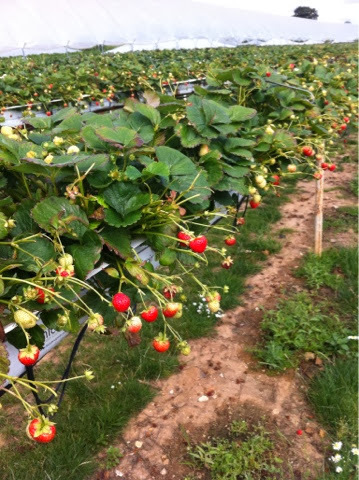 They had been planted in troughs raised above the ground at hand height so no back breaking bending over to pick. Such a good idea especially as my back has seen better days! 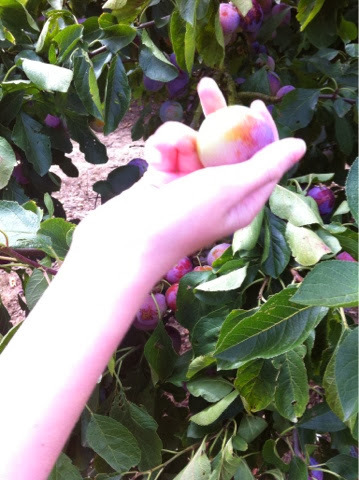 The plum trees were heaving and we didn't even have to move off the spot before we had filled two punnets. 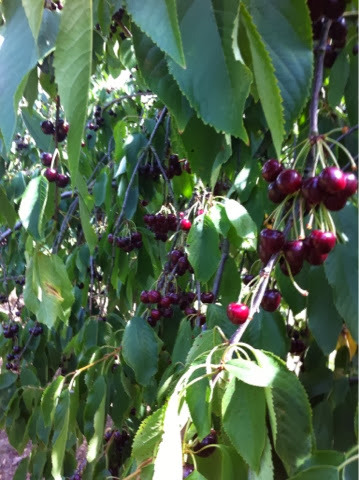 The cherry trees were unreal, I've never seen so many cherries in one place. There were quite a few wasps around too so we had to pick carefully. Once we had picked enough, we shot off down the road to a lovely little stream which is perfect for picnics. We ate a few nibbly bits before eating some of the strawberries we had just picked for pudding. Yum. 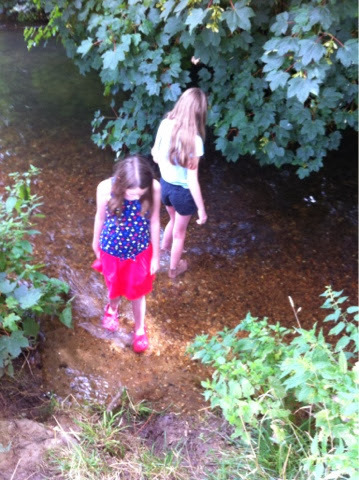 Then the girls had a little paddle in the stream which was remarkably clean and very shallow, and a bit cold. 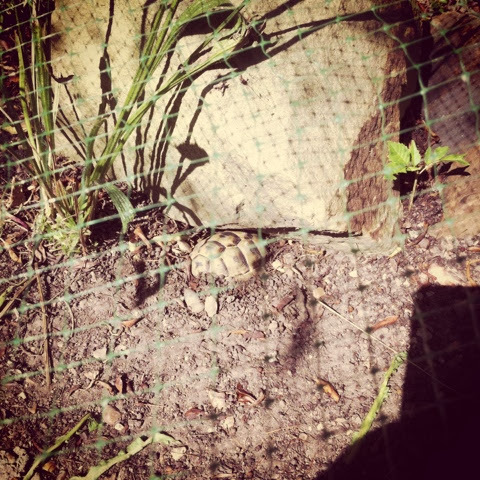 The tortoises had the most incredible time in the heat, they were noticeably happier and more active, soaking up the sunshine and charging around the tortoise enclosure searching for food. They are finding it a bit difficult being inside all the time now, although it won't be long before they go into hibernation. 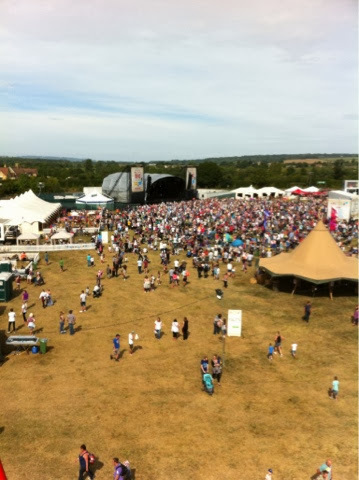 Just before the girls went back to school, we took a day trip to the Big Feastival, which was organised by Jamie Oliver and Alex James. 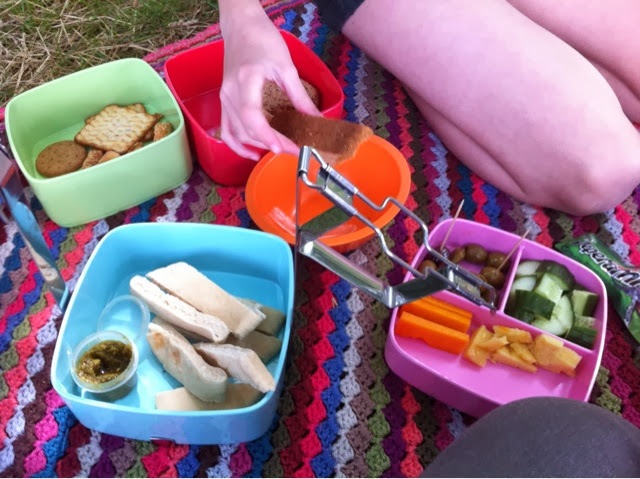 We were so lucky with the weather, the food was amazing and there was plenty to keep us all occupied. It was a fab day out and here is an aerial shot taken on my phone at the top of the Ferris Wheel, which I really shouldn't have gone on as I went a bit green and had to close my eyes and go to my special place to get through it without screaming or throwing up. The last time I went to my special place was when I gave birth to my two kids!! Fresh strawberries and cherries sound good about now. We are having wonderful fall weather, but I'm sure the cold damp fog is right behind it. I don't like ferris wheels either. Scary!